Preheat oven to 150°C. Place the eggwhites in the bowl of an electric mixer and beat until soft peaks form. Gradually add the sugar, beating 10-15 minutes until the mixture is glossy and stiff. Sift the cornflour over, add the vinegar and fold through. Pile into an 18cm-round on a baking tray lined with non-stick baking paper. Place in the oven, reduce the heat to 120°C and cook for 1 hour. Turn the oven off, leave door ajar and allow the meringue to cool in the oven. 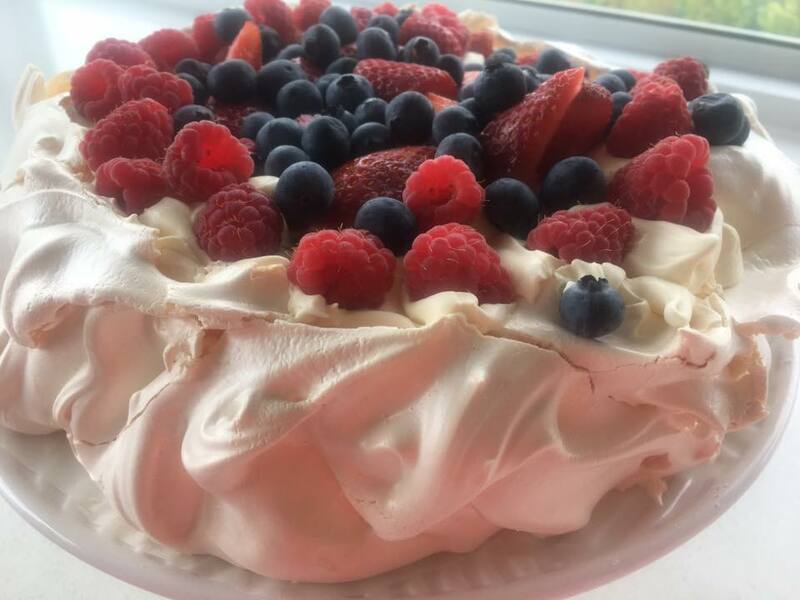 To serve, top with whipped cream and fresh fruit. Serves 6–8.